Singer and actress Linda Eder (b. 3 February 1961) possesses one of the most powerful and versatile contemporary voices in America today, with a stylistic range that covers Broadway, standards, jazz, pop, country, and her own original compositions. With ten solo recordings and five cast albums already to her credit, her repertoire has not ceased to expand. She spent the early 1980s in Minneapolis singing in clubs and lounges, honing her vocal skills and stage persona. With pianist and organist Paul Todd, an old classmate, she drummed up the “Paul and Linda Show,” traveling all over the U.S. doing concerts. After a headlining stint at Harrah’s in Atlantic City, her big break came in 1988, when she reigned undefeated for an unprecedented twelve weeks on the television show Star Search. This triumph brought her to the attention of Frank Wildhorn, the Tony®-nominated composer and lyricist, who gave her the female lead in his Broadway-bound musical Jekyll & Hyde. 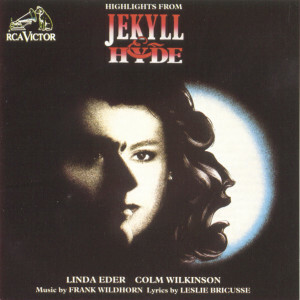 It took nine more years for Jekyll & Hyde to reach Broadway, but in the meantime Eder starred in a number of Wildhorn musicals (Svengali, The Scarlet Pimpernel) and sang on several of his demo recordings and concept albums (Jekyll & Hyde: Romantic Highlights in 1990, The Scarlet Pimpernel in 1992 and 1998, Jekyll & Hyde: The Complete Work in 1995, The Civil War: An American Musical in 1998, Camille Claudel: A New Musical in 2003, Cyrano de Bergerac – The Musical in 2006, among others). 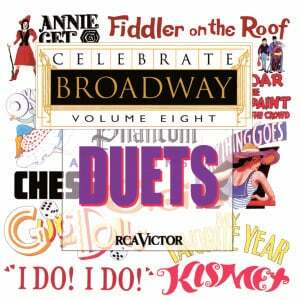 When in 1997 Jekyll & Hyde finally reached the Great White Way – after playing over 900 tryouts all across the country – Linda Eder snagged the Theatre World Award and a nomination for the Drama Desk Award for Outstanding Actress in a Musical. Eder and Wildhorn were married in 1998, and have one son Jake. Although their marriage lasted only six years, they continue to work, perform, and record together. Their latest joint project is an album of mostly brand-new songs, called Now, released March 1, 2011, crowning Eder’s two-decade recording career. It includes the song “Mad Hatter” from Wildhorn’s much anticipated Broadway musical Wonderland. Linda Eder has an enduring love of animals and is a devoted mom.